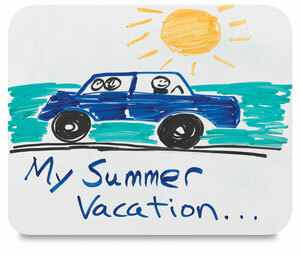 Single-sided dry erase boards are ideal for young laps, with rounded, vinyl edges for safety. Non-ghosting surface erases easily. Each board measures approximately 9" × 12" (23 cm × 30 cm). ™ DooleyBoards is a trademark.